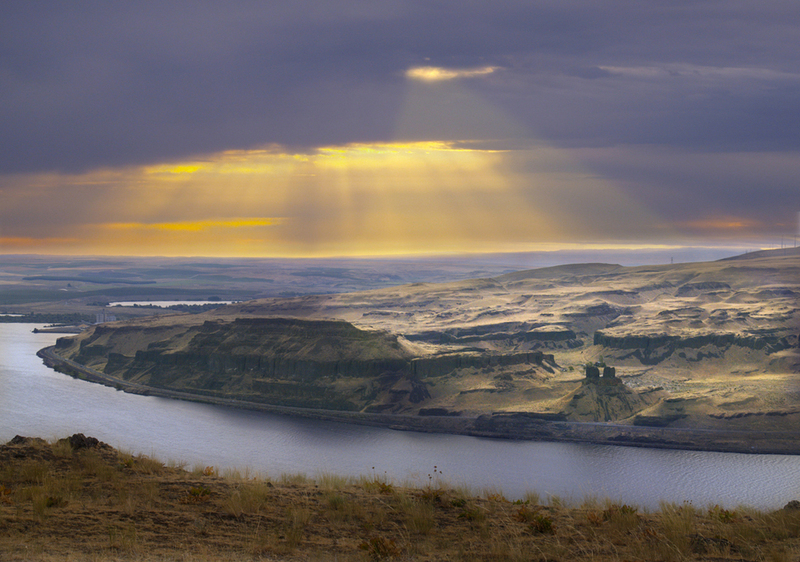 Combining near Tri-Cities, the Columbia and Snake Rivers are prominent features in the landscape of the area. The Columbia is the largest river in the Pacific Northwest and has the greatest flow of any river in North America flowing into the Pacific Ocean. Explorers Meriwether Lewis and William Clark traveled along both rivers in their exploration of the American West and the changing moods of both rivers have supplied John with plenty of photographic material.